October 2018 marks PEDro’s birthday. 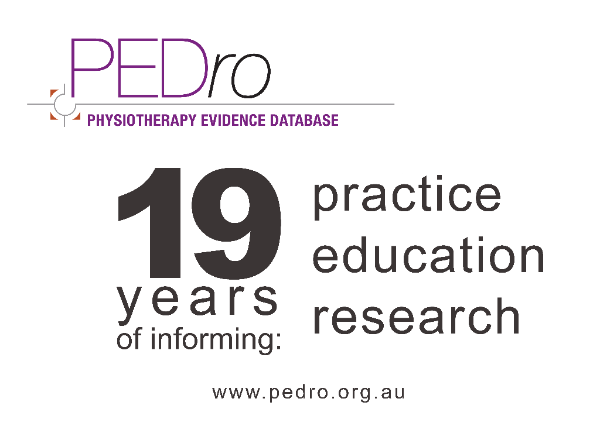 For 19 years PEDro has been providing physiotherapists around the world with easy access to high-quality clinical research so they can practice effectively and safely. In this time PEDro has been used to answer over 20-million questions.